Tiger’s Tennessee Golf Course back on the drawing board. 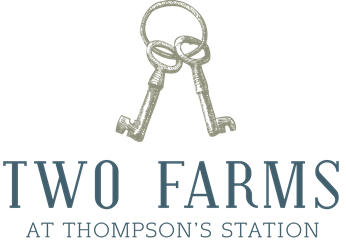 Fresh from recent announcements about new projects in Chicago and Missouri, comes news from The Tennessean website about plans to revive the long abandoned Two Farms development by Tiger Woods at Thompson’s Station. Located south of Nashville in Tennessee, the Two Farms development was recently reborn by the Beacon Land Development company from Houston, Texas, who worked with Tiger Woods Design on the Bluejack National project. Their partnership with the Discovery Land Co. recently ended after concerns over water supply forced Discovery Land to walk away from the development. Beacon Land have found a new capital partner, Reeds International, and apparently relaunched the project by successfully lobbying the Thompson’s Station Planning Commission to annex nearly 700 acres for the purpose of building a golf course and mixed-use community. While there remain issues regarding water supply, wastewater treatment, development density and environmental impacts to resolve, the council is expected to approve the rezoning and start working with the developer on a more detailed final project footprint. With regards the golf component, Mike Abbot was quoted on the website as telling the planning commission that Tiger Woods was keen on preservation as much as possible, and that he’s “looking to take the character of the land today and enhance it."